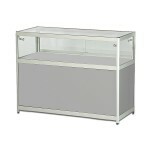 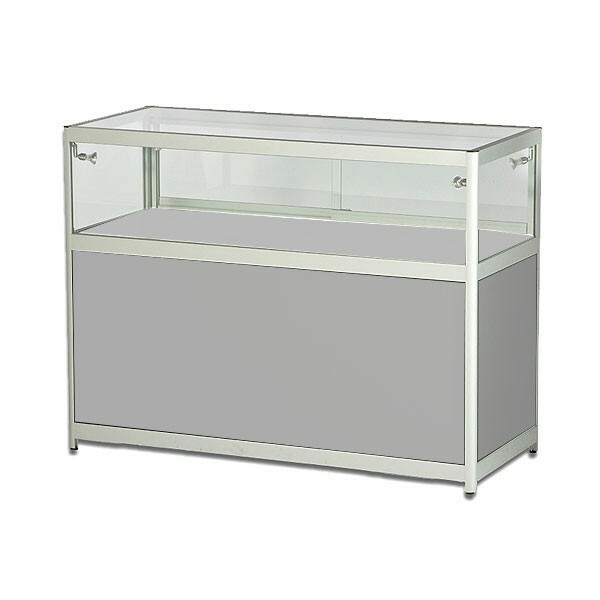 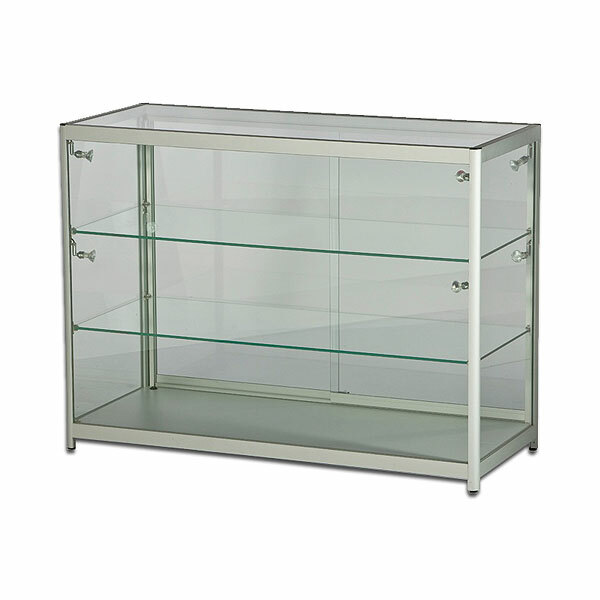 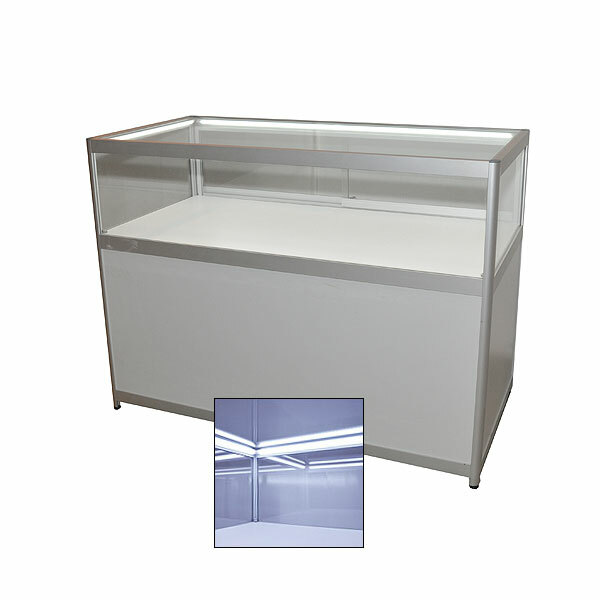 Always popular, these grey showcases with cabinets are counter height and so a useful addition to any exhibition furniture hire list as they might well replace the need for you to hire reception counters and other items. 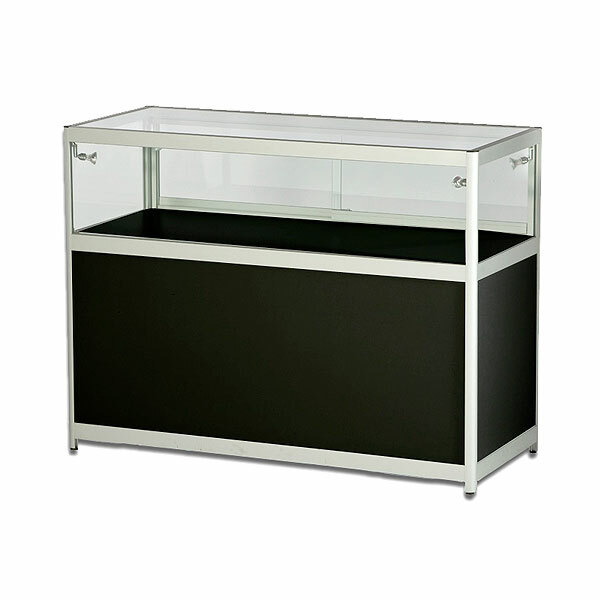 They enable you to display your items under LED lights and the unit is also lockable, providing you with the complete showcase hire option which is highly effective in showcasing your products to their very best. 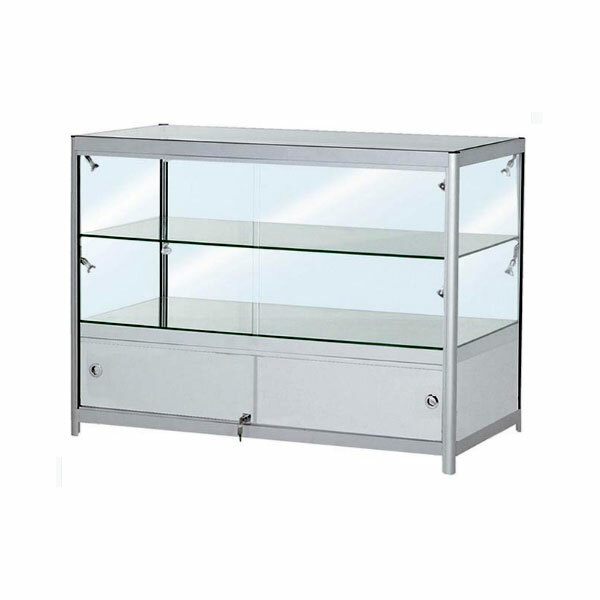 To hire, you can either place your secure order online or alternatively call a member of our expert sales team, one of whom will be delighted to assist you with your requirements.